It can be overwhelming. You have done thorough research and met with various cloud providers. Yet, this decision is a major one, and should not be taken lightly. Cloud services and hosting providers should meet your specific business needs, not be a one-size-fits-all situation. The current cloud computing market is large, from market giants like Google and Amazon Web Services (AWS) to smaller niche providers offering tailored services. Picking the right cloud service and hosting provider for your business is crucial. When to Select a Cloud Services Provider? Before you can select a cloud services provider and a suitable cloud solution, your organization must thoroughly understand its specific business needs. That seems like a fairly general and obvious statement. Yet, many organizations start out assessing providers before understanding their own needs. Clarifying your minimum expectations and defining services that you require from your hosting provider in advance ensures that all your cloud migration checklist items are met. This is the quickest, most efficient way to move from a long list to a short list. Cloud computing is an alternative way that businesses can get and use IT services. The right cloud service and hosting provider can help to increase flexibility and scalability, as well as, reduce long-term costs. It is important to understand your business needs, because migrating applications to the cloud takes time and effort. The specific environments you select will determine the scope of work needed to be done and the amount of help you should enlist from your provider. Ideally, the best time to select a cloud service provider is after you have analyzed your workload requirements and pinpointed your target business goals for today and in the future. If you need assistance identifying your business objectives and the available technology options out there to achieve them, a trusted managed services partner can be an excellent resource to help with building out your unique IT roadmap. Gmail, EHR systems, Drop Box are all cloud-service based, yet very different. There are three main types of cloud services available. Those three include Public Cloud, Private Cloud and Hybrid Cloud. Public cloud services provide infrastructure and services to the public. Your organization will secure a piece of that infrastructure and network and share the rest of other customers. All resources are shared by many different people and businesses. Some common examples of a public cloud include Gmail and Drop Box. In April of 2017, Google reported that it had 1 billion monthly users. While your Gmail account is protected by a password of your choosing, the hardware it is stored on is shared with over 1 billion people. The public cloud is based on the standard cloud computing model, in which a solutions provider makes resources, such as VMs, applications or storage, available to the public over the internet. Public cloud providers like AWS or Google provide a pay-per-usage model that can get pricey if not used properly or monitored continuously. Due to the lack of control and the multi-tenancy environment, highly regulated industries can be a poor fit for the public cloud when it comes to their most valued assets. Industries that typically stay away from a public cloud environment include the healthcare industry because of strict security regulations surrounding electronic patient information. Private cloud environments are dedicated to one organization and often have much stricter security and compliance processes than a public cloud environment. A private cloud environment allows businesses to control highly sensitive data while meeting the industry-based regulations. That information could be medical records, trade secrets, or other classified information. Private cloud solutions use infrastructure that can be outsourced from a trusted provider that meets specific compliance and security criteria. The healthcare and financial industries typically look for a private cloud environment because they will be hosting highly confidential information. The federal and state guidelines also require a private cloud environment to meet their guidelines for data controls. A hybrid cloud solution is a blend of both public and private clouds. This is the most complex cloud environment because enterprises must manage multiple platforms that require expert knowledge. An example of a hybrid cloud environment is a card payment processes customer that wants to keep credit card and confidential customer information on a private cloud but place daily customer-facing information on a public cloud environment. How do you select the right cloud provider from the large pools of options? Cloud hosting providers range from small startup companies to giants like AWS. While it does seem overwhelming, there are steps you can take to simplify your search. This is a decision that both the IT department and business executives should be involved in making as it will impact both areas heavily. Technology is continually becoming a business decision. Allowing business leadership to communicate objectives will help your IT team and ultimately your cloud hosting provider. After you have identified your business objectives and requirements, ensure your cloud hosting provider meets those requirements. Are you in a highly regulated industry like healthcare, manufacturing or the financial sector? Do you require your provider to have knowledge on your specific market and its compliance and security regulations? If you do, that might mean you opt for a smaller, niche provider. You can still pair them alongside a larger player like AWS. Smaller, more compliance and security focused providers, like LightEdge, have the experts and support team to understand industries’ specific processes and procedures. They also work directly with clients to evaluate their specific audit requirements to assist with successful completion and compliance, and offer best practices directly from their CISO. Larger giants like Google, AWS, and Microsoft act as more of a commodity provider. These providers are there to sell a set product and typically provide nothing more. LightEdge adds on the layer of expert service and support on top of purely providing the infrastructure. When it comes to selecting a cloud service and hosting provider, you use the criteria you have identified as requirements specific to your business. However, there are common areas of focus during any service provider assessment. Every industry has different standards of compliance and security they aim to meet or are required to by auditors. Despite these differences, compliance standards like SOC reports help to provide an overarching framework for meeting different standards. Cloud hosting providers that comply with specific industry standards are the providers that demonstrate an adherence to industry best practices and standards. If you are not controlled by strict industry compliance regulations, then certifications may not determine which cloud service and provider is right for your business. Yet, it can be helpful when creating a shortlist of potential providers and as the scope of businesses impacted by compliance standards grows, your requirements may be changing. It’s nice to be prepared to meet the most stringent of standards to ensure your data and that of your clients is in the best hands. Before your cloud migration process begins, your organization should be aware of the cloud regulations that must be followed. These compliance rules are particularly important for those in the healthcare or financial industry. Whether an organization is regulated by HIPAA or PCI-DSS, it is important to keep proprietary systems private in the migration process. Embracing security should be a major focus in your organization’s cloud migration checklist. For a more general compliance and security view, look out for effective data management, expert cloud monitoring and management knowledge, data security backbones and 24x7x365 support. There are multiple ways to measure the reliability and performance of a cloud hosting provider and cloud environment. The first area to check is if the provider has established and proven processes for dealing with unplanned or planned downtime. A cloud hosting provider should have documented processes in place for communicating with you and their other customers. Ask about their procedures and what to expect during an incident. Some cloud hosting providers like LightEdge, offer business continuity solutions. These solutions should be geared towards keeping your IT operations, critical applications and data protected and up at all times. Ask about their technology and resources they provide to get you back to a production state that meets your RTO and RPO requirements. Another way to measure reliability and performance of a cloud hosting provider and their cloud services is by comparing the provider’s SLAs and their services performance over the past year. Some providers publish their SLAs on their website. If not, call to inquire about this information. While downtime can be inevitable, it is how the cloud hosting provider handles the downtime that really matters. Understand their monitoring and reporting systems and how they integrate with yours. Another way to find out if a cloud service is right for your specific business needs is to look at a cloud hosting provider’s service roadmap. Ask about their roadmap and how they plan to innovate and grow it over time. Does the provider’s roadmap fit your current business requirements? 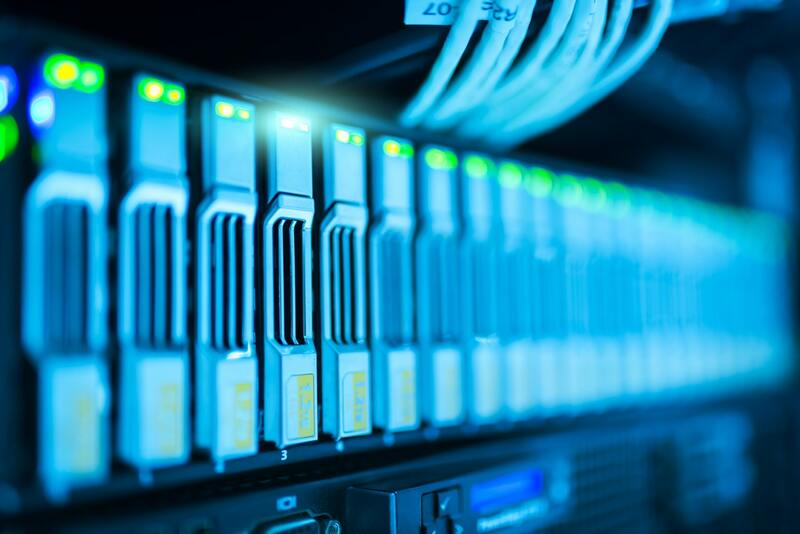 Depending on both your business and IT department’s overall goals, you may also want to evaluate the overall service portfolio that a hosting provider offers. This can help to weed out your longer list of potential providers. If a provider has multiple offerings that might be of use to your business in the future, then it adds more of a reason to select them. If you plan to outsource to many service providers, this item may not be relevant. If your preference is to use only a few key providers, it is important that the hosting provider you select has a broad range of well-matched offerings. When selecting a cloud service and cloud hosting provider ask about their vendor relationships. Typically, cloud providers will have important vendor relationships that can end up benefiting your organization. A hefty partner relationship background is reason to consider this hosting provider. Having access to your cloud hosting provider’s relationships with key vendors, technical capabilities, accreditation levels and reduced pricing can be worthwhile. The more robust the knowledge-sharing network and well-rounded expertise, the better. Think about if these industry partners and their benefit offerings fit into your long-term goals and requirements that you have previously identified. It is imperative that the cloud hosting provider can disclose these relationships and guarantee their benefits in legal documents or SLAs. There are many different cloud services to choose from. Compliance and security standards, reliability and performance, service roadmaps and industry partnership are all important considerations. Cloud services must go beyond the scope of services that are typically offered to provide fully comprehensive solutions. It is worth your time to learn about all the offerings that a cloud service provider has. In the future, their other products and services may benefit your company’s long-term objectives. From simply ordering-up capacity in fully-managed environments to private clouds that are a customized configuration of infrastructure into any layer of the stack, LightEdge’s world-class Tier III compliant data center facilities and talented engineers are ready to accommodate your business’ requirements. LightEdge is committed to keeping our customers’ IT operations, critical applications and data protected. We provide the technology and resources our customers require to get to a production state that meets their RTO and RPO requirements. LightEdge also offers a comprehensive set of disaster recovery solutions to ensure uninterrupted performance of IT operations and mission-critical systems in the event of a disaster. Redundancy is built into each of our data centers in Des Moines, Kansas City, Omaha, and newly acquired Austin and Raleigh. Each of our LightEdge facilities strive to deliver more than traditional data centers. We have created true Hybrid Solution Centers designed to offer a complete portfolio of high-speed, secure, redundant, local cloud services and managed gateways to public clouds through our hardened facilities. Want to learn more about LightEdge’s compliant cloud services? Contact one of our cloud computing experts to get started or to schedule your private tour of any of our data centers. We have security, compliance and cloud experts standing by to answer any of your questions.